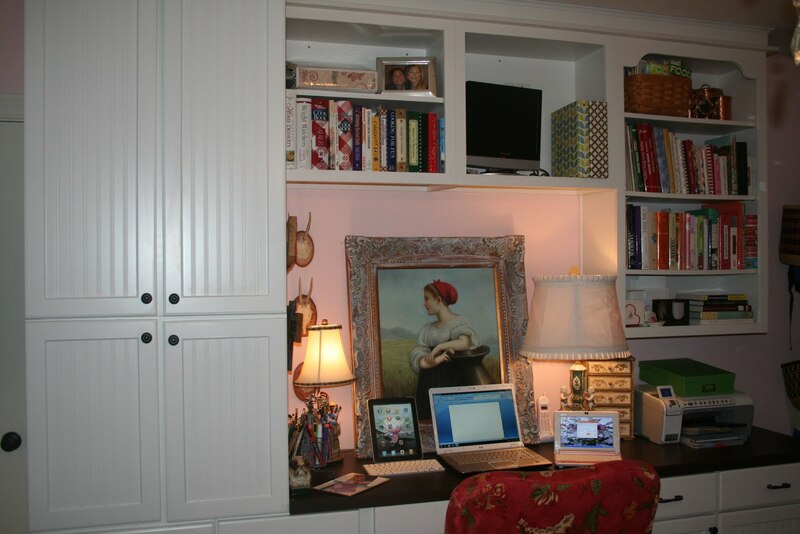 My home office, I do not share my precious space this is my room to think, blog, wrap gifts, read, work on anything and everything. 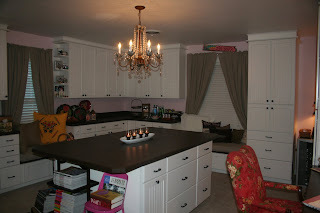 It is pink like my closet, with crisp white cabinets and brown counter tops. 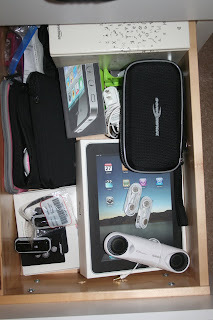 Everything has it's place, from photos to ribbon, to post it pads to computer cords and gadgets. 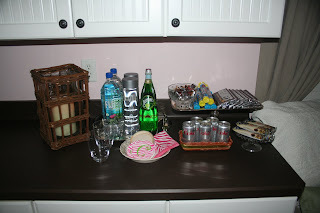 If you are to stop by while I am blogging or hard at work on any number of things, never fear refreshments are close at hand. I can't be far from sugar or a diet coke. What a combination, but I do have a Perrier water addiction hopeful that gives a little balance to my otherwise unbalanced diet of sugar and artificial sweeteners. Sit and relax (or read) in one of the window benches. 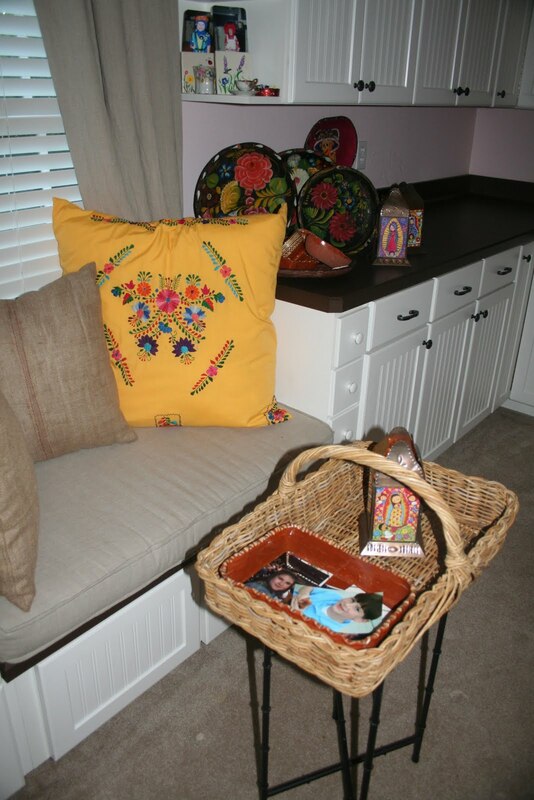 This one is outfitted with a pillow made by a friend from a Mexican dress, it compliments the Mexican pottery and bateas. I read a lot. Books, magazine, the Internet, my kindle, blogs and on and on. 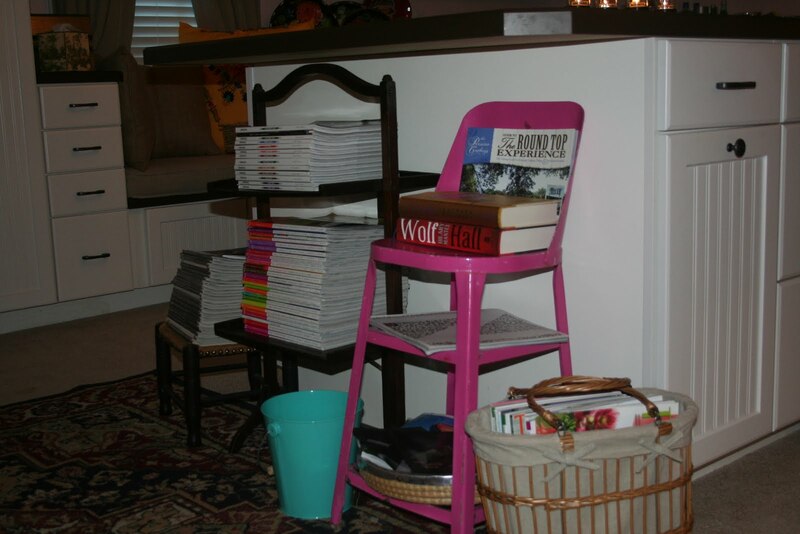 I have every bookcase in the house beyond full. Magazines are so hard for me to turn away from, your waiting in line and there they are. They are beautiful, interesting, full of either fashion and style or decorative ideas and architecture, political updates and current events. How do people turn their backs on the magazines at the check out. I have no willpower. 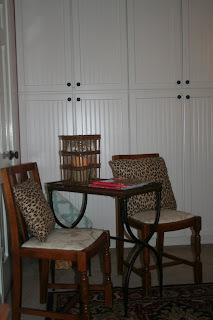 Usually the area my family sits to watch me work. I've got to remember to start locking the door. 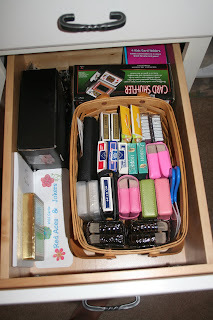 I'm organized, I like it that way, for the most part I find it makes things easier. 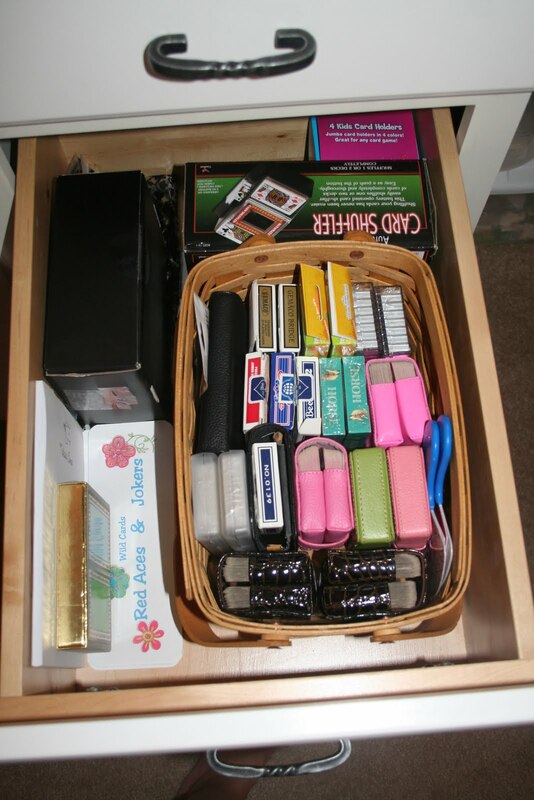 Left drawer is nothing but notepads and post-it pads, nothing else. 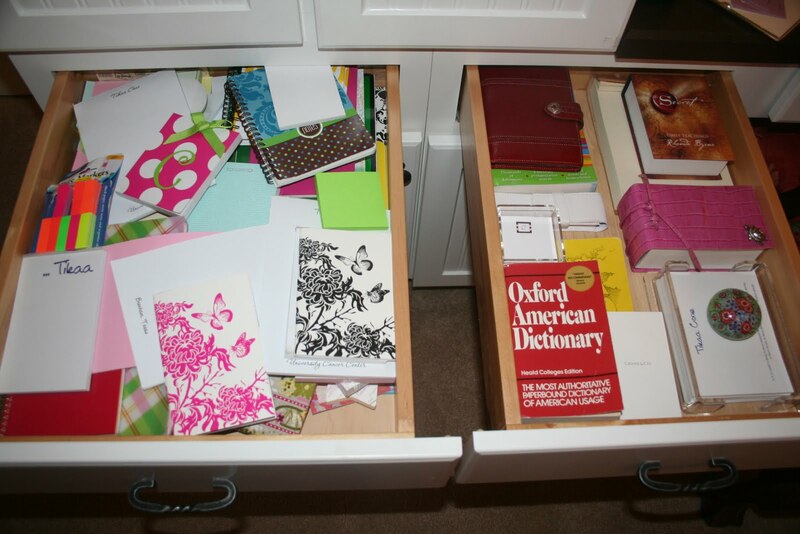 Right drawer is dictionary (I know kind of old school, sometimes you need one) and personalized stationary. All the drawers and cabinets in the room are primary organized this way, some are even labeled. Which I am now sure some people I know will pick on me endlessly for admitting to. 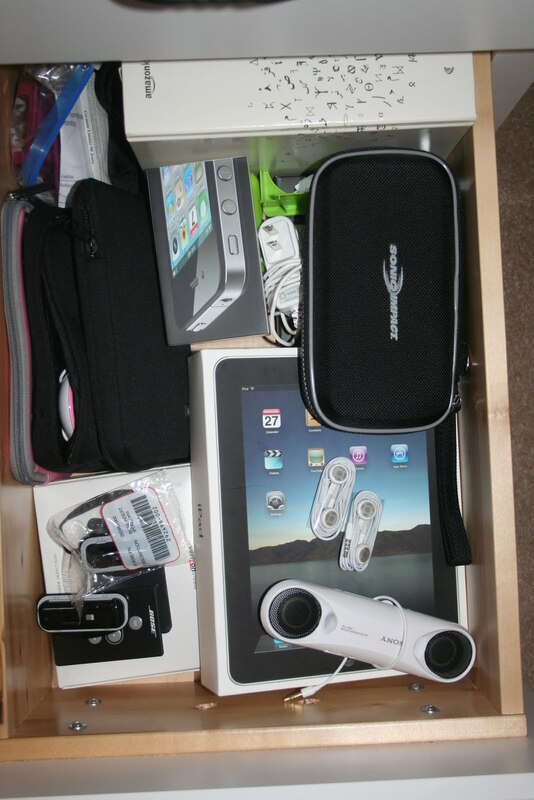 Everything Iphone, Ipod, or Ipad is housed in this drawer. Keep it all together and you know exactly where to go to find what you need each time. Quick and easy. 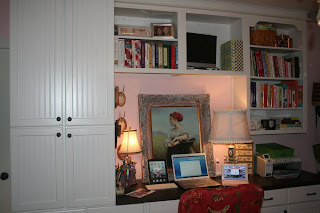 From here I can work on my blog, download pictures from my camera, add music to my Ipad or Ipod, and the list goes on. 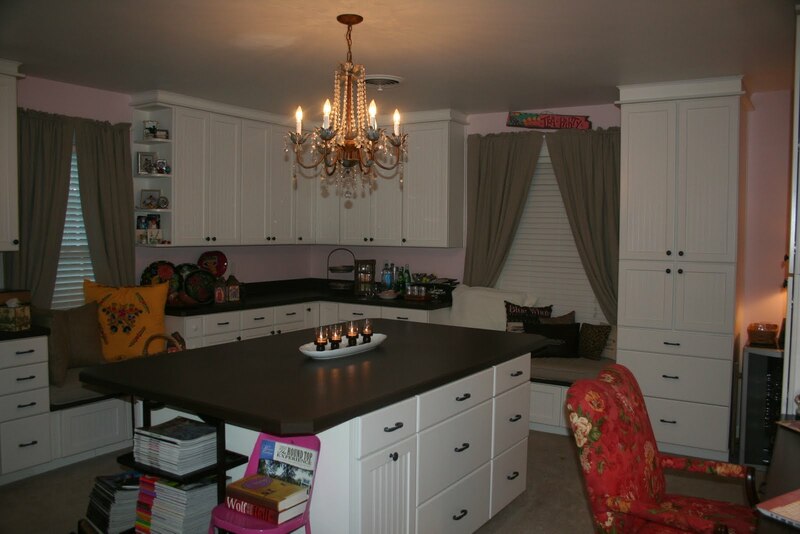 It's a nice space to have.